It’s become a tradition with NXT TakeOver to have a match, a story, or angle that truly dominates the night – or hell, the entire weekend. And through the first four matches of this TakeOver, I don’t think we came close to having one of those moments. And don’t get me wrong! The opening tag team match was ridiculous. Matt Riddle and Velveteen Dream told a fantastic story and ensnared the crowd. The UK Championship brought something new, and the women’s match was superb. … But nothing had truly given me the feeling that WrestleMania would have trouble following TakeOver. But you see, I had forgotten something. Johnny Gargano is a goddamned wrestling wizard. The build to Gargano vs. Adam Cole was short – as was the necessity with Tommaso Ciampa’s injury. And the fact that they were able to deliver a match of THIS caliber with such short notice displays how intelligent they were with the story. They played on the Ciampa history. They played on Gargano’s multiple failures. And this time? For one magical moment, Gargano was able to overcome the kitchen sink and then some. Cole got the first pin fall in this match with his usual finisher. It was the ordinary result that we needed to set up the completely extraordinary – taking notes, Balor? – events that would follow. Gargano would get bloodied during the middle portion of the match before locking in a Gargano Escape. Cole quickly tapped to prevent himself from injury. It seemed like a smart move at the time. Gargano was the one running on fumes, right? And Cole was relatively unscathed. Wrong. It brought Gargano to the cusp of becoming NXT Champion once again. And for whatever reason, his will would not be denied once again. Cole hit him with everything, man. A baker’s dozen superkicks, a Florida Keys, a wheelbarrow suplex into the corner of the LED board on the ring, a damn Fairytale Ending – nothing worked. The desperation began kicking in, and suddenly the Undisputed Era was at ringside to break up another Gargano Escape. Bobby Fish and Kyle O’Reilly hit their tandem finisher and STILL Gargano kicked out. Gargano hulked up to get rid of the faction before being felled with a superkick and another Last Shot from Cole AND STILL he kicked out. Cole, well beyond disbelief at this point, got in Gargano’s face and was promptly put into a Gargano Escape. Gargano found a way to win. Look, I’ll be honest. I can see why some would be annoyed with how invincible at the end. But to me, that’s the EXACT sort of insanity I want from wrestling. Not every night, mind you, but I want that lunacy when the time is right. And folks, what better time than to culminate Gargano’s climb to the top of the mountain? He’s not going to be that invincible moving forward, of course. Cole caught the wrong guy on the wrong night. And I would not be surprised at all to see a fairly short reign before Cole gets his day. But with that said, I absolutely loved this match. And the moment on the stage with Ciampa? Even better. The Io/Kairi dynamic was in full effect here, which I thought benefited the match. 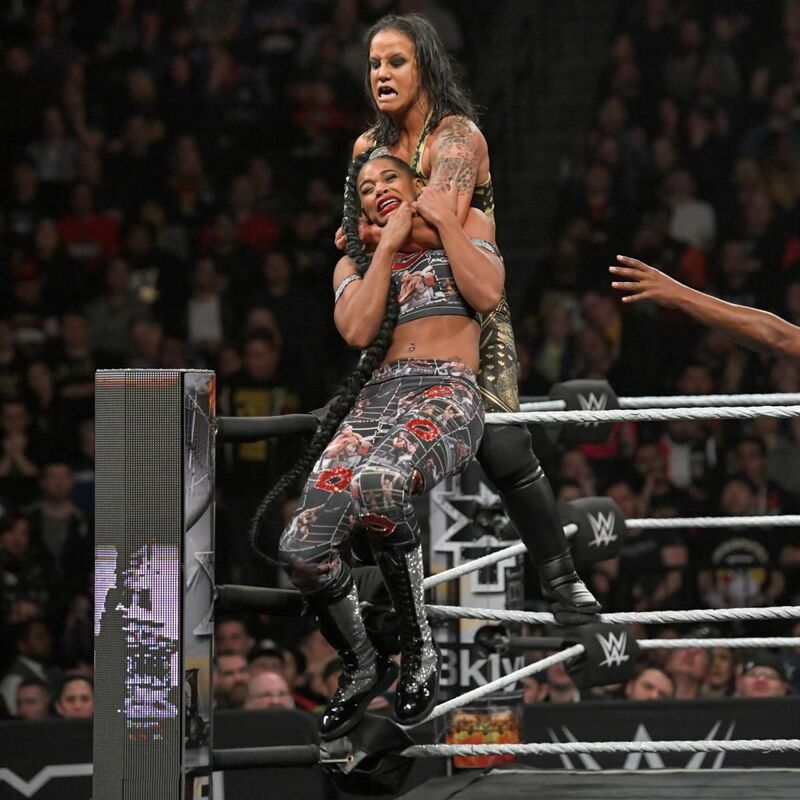 Their tandem moves to throw Baszler and Belair off were prominent all match long, and their baseball counter to Belair’s kiss taunt was so awesome. Only late in the match were they forced to turn on each other. Shirai had just caught Belair with a moonsault when Sane was forced to leap in and make the save. She hit Shirai with an Alabama Slam before trying for a pin of her own on Belair, but Shirai was back in to make the save. As those two finally lost control of the match, Baszler was able to slip in and get Belair with a Kirifuda Clutch to defend her title. I was honestly surprised that Bazsler found a way to defend her title in this one, and I’m not sure who exactly is supposed to finish her off. It’s beginning to feel like Asuka again, except that there is plenty of talent who I’d say are near or on her level. Not that I mind, mind you; Baszler is awesome. Man, the Velveteen Dream is so up my alley. I love how far he goes for his character and the evidence was even in the pre-match promo. 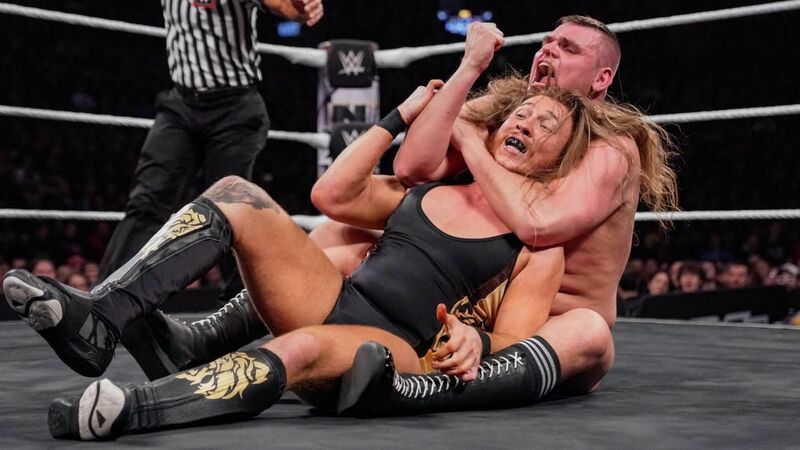 Dream referenced Riddle not earning his “attention,” even though he’d said the man’s name – callbacks to his Aleister Black feud. But the script was flipped, this time. Dream is the established man and he did to Riddle what Black had once done to Dream: he found a way to win. Riddle dominated much of the match, and I was really intrigued by the dogged relentlessness in his ground game. He started getting booed a bit, actually, for working Dream through rope breaks. 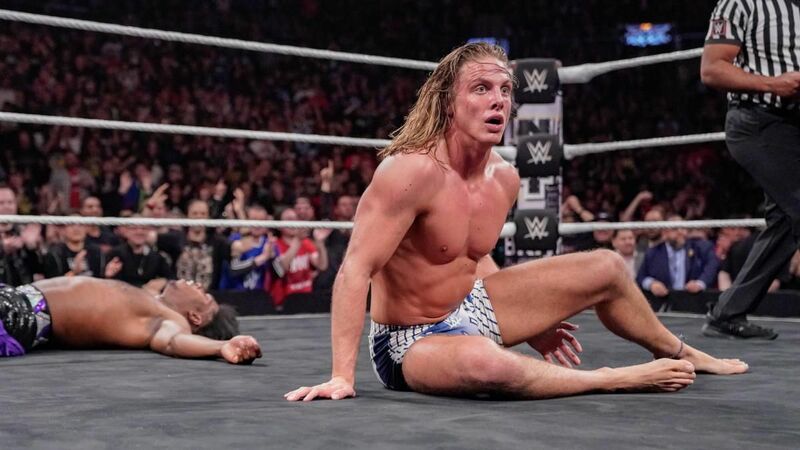 He also no-sold a German suplex and man…that got me thinking of the look on Brock Lesnar’s face if Riddle ever did that to him. Dang it. In the end, Dream rolled Riddle up to counter a Bromission. Riddle was in shock at first before suddenly sheering up and offering Dream a bro fist. Nooooot so sure that’s genuine. Ready for a bit of a hot take? I wasn’t a huge fan of this match. I almost feel bad saying it. It was nasty, vicious, gruesome, well-wrestled, if that’s a term…and yet, I just didn’t feel much watching it. If I had to say why, I think it’s the fact that I’ve not watched much of WALTER. I know his reputation as “the chop guy” – and that was on full display! – but he just didn’t wow me like I was hoping. I think he’ll have to tweak things a bit to find huge success if he’s wrestling on this kind of stage in the future. With that said, this did give me a Rocky vs. Drago sort of vibe. WALTER was immune to a bunch of Dunne’s offense, and I think they should really emphasize that for WALTER moving forward. But with that said, I appreciate how this brought something new to the brand and I am a bit intrigued to see how NXT UK moves forward with WALTER at the helm. 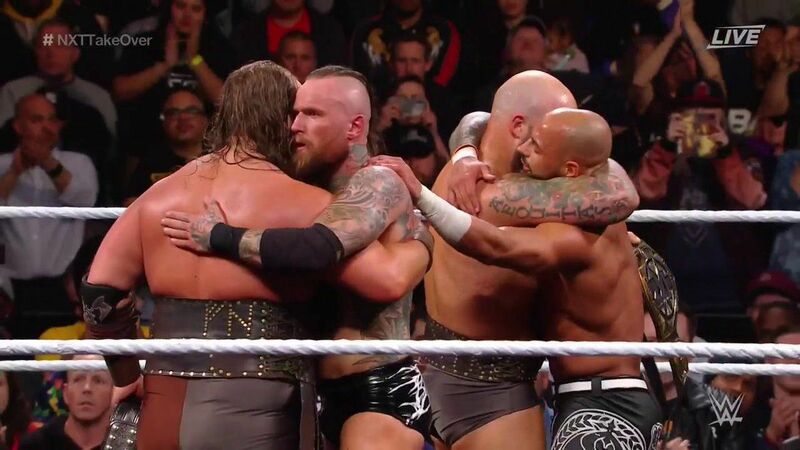 After a sudden call up to the main roster and being featured on all three WWE brands for the past few months, Aleister Black and Ricochet got a proper farewell. Those two are just too damn good. From the goofy grin on Ricochet’s face and the both plopped down cross-legged as a taunt to their stupidly fun offense, there’s nothing not to like. The War Raiders are really fun in the ring, but their entrances and gear still feel…off to me. Like it could be done better. But that’s what NXT is for, right? Collectively, these four gave us a traditionally hot start to TakeOver. The main event and the Dream vs. Riddle matches are what stick with me after the show. And considering the tough circumstances that NXT faced when making this card, I’d call this grade a success. That Gargano guy. Pretty good, isn’t he, Cageside?